It may be a challenge to decorate a small space, but it doesn’t have to be a hassle! It can definitely be a lot of fun as you use your imagination to the extent by maximizing each inch of space. We’ve gathered a few tips to help you make your space look larger and as useful and convenient as any other. Use various shades of white for your furniture, walls, and ceilings, this will make your space feel larger and provide a fresh atmosphere. Choose functional furniture that serves a double purpose by providing storage space. 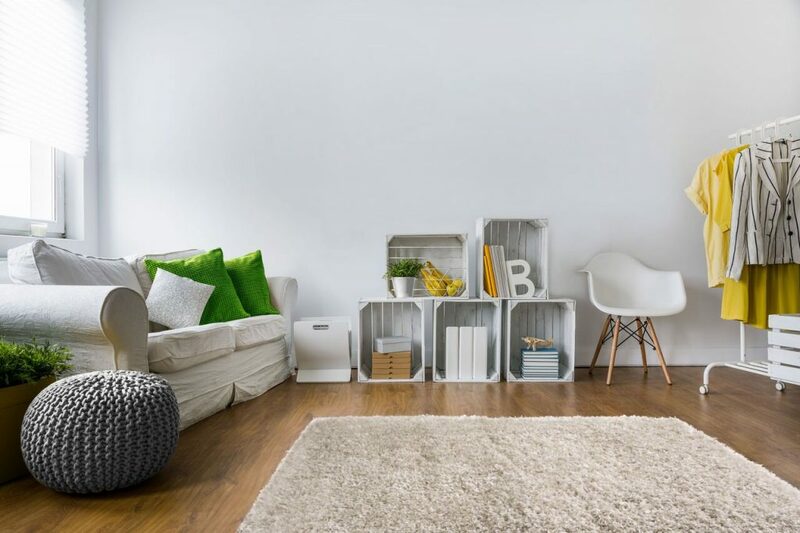 There are many suitable types of furniture out there such as extending tables, sofas with storage space, and beautiful unique storage boxes. That way, your dual purpose item will save you from buying another chest of drawers that takes a lot of space, and will also allow you to keep your room neat and tidy. 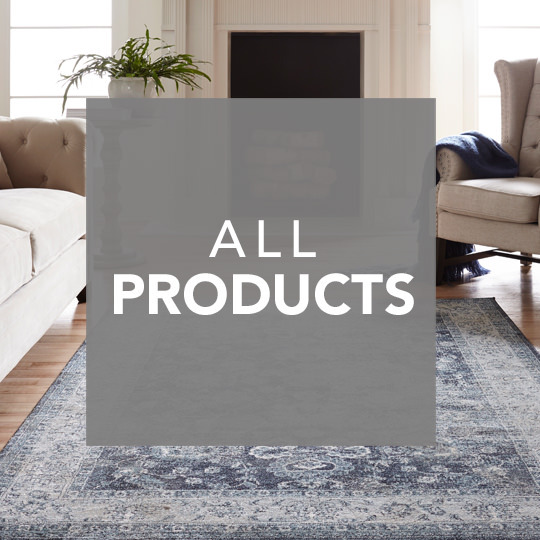 As there are endless styles and shades, be sure to pick up a light colored rug as it will reflect the light and make your space look larger. Also, be careful with the size. 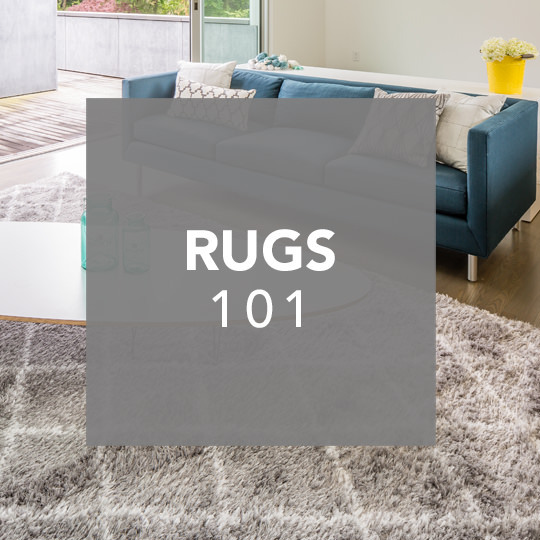 Choose a rug that is big enough to cover most of the floor space, as a small one will give you the opposite effect you’re looking for. We tend to push our furniture against the walls, but actually, by doing the opposite, you can create an illusion of more space. 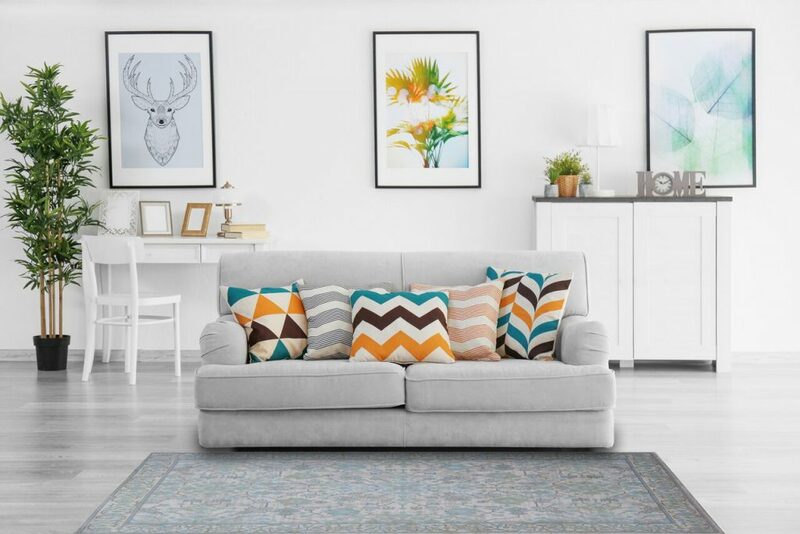 Simply move furniture towards the center of the room, even just a few inches away from the wall, and place a floor lamp or a small coffee table in the gap. That way it will give a greater sense of depth in your room. When you move your curtains aside, it allows the eye to move beyond the wall and perceive the outside as part of your indoor space. Take advantage of this as it will give the illusion of a wider space. Another trick is to match the color of the curtains to the color of the walls to visually open up the space, and be sure to hang your curtains as high as possible to make the ceilings look higher.